DS switches have been designed for applications requiring multiple set points, but with only one or two process connections. Typical applications are for alarm and trip functions. Some other are to keep pressure between two limits HI and LO, with independent signals. 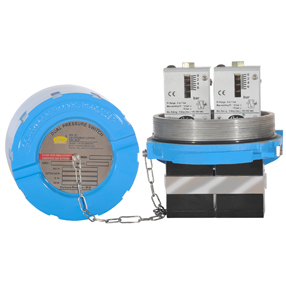 Other applications are for HI and HI-HI limits or LO and LO-LO limits in the same pressure switch. Pressure switches can be supplied with SPDT, 2SPDT hermetically sealed (silver or gold plated) microswitches or other standard options. Typical application areas are in power sector, pharma, oil and gas, petrochemical, chemical & other industries.